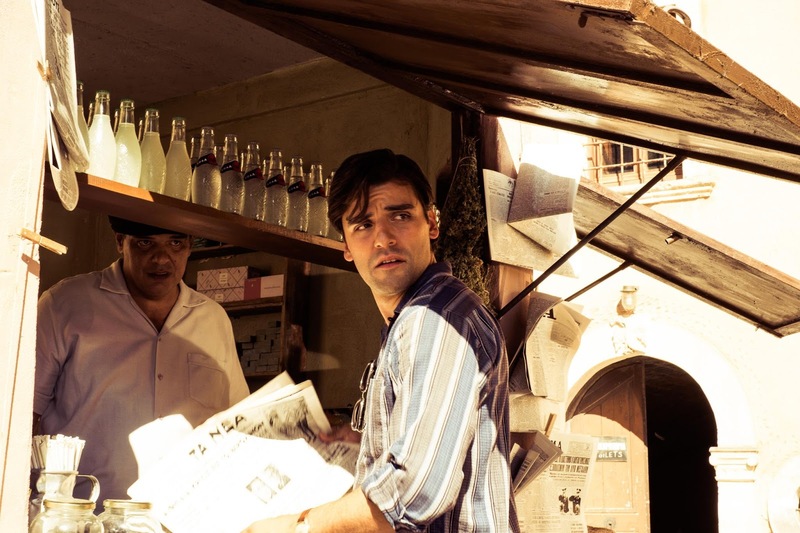 An on-the-run thriller, The Two Faces Of January aims for a mysterious and steamy premise but stumbles on a lack of smarts and sophistication. Athens, 1962. Rydal (Oscar Isaac) is an American tour guide and small time hustler. He is estranged from his family and recently skipped his father's funeral. Rydal spots American couple Chester and Colette MacFarland (Viggo Mortensen and Kirsten Dunst) enjoying their vacation, and is captivated by Colette's beauty. He befriends the pair, and learns that Chester is a wealthy investment banker. A private detective catches up with Chester and attempts to shake him down to recover money Chester lost on behalf of dubious investors. Rydal stumbles upon the violent struggle between detective and banker, and helps Chester and Colette escape to Crete and also arranges for fake passports to allow them to flee the country. As the authorities start to catch up, tensions increase between the hard drinking Chester and the resourceful Rydal, with Colette caught between the two. Author Patricia Highsmith is best known for writing Strangers On A Train and The Talented Mr. Ripley. The Two Faces Of January was published in 1964, and is here brought to the screen by Hossein Amini, who also penned the screenplay. The title refers to the two faces of the Roman god Janus, an appropriately obscure reference to the unsatisfying plot. While the first half of the film holds plenty of promise, unfortunately the back end fades away into an uninspiring battle of wits. The introduction of the sun-drenched Grecian settings and the intriguing characters create rich possibilities for story development. Rydal's shifty street smarts, Chester's shady background, the festering psychological wounds of Rydal's anger at his deceased dad, and the classic romantic triangle build up a sturdy narrative foundation. But is all goes to nought. Chester starts to drink heavily, stupid decisions layer on top of each other, the trio push deeper into the Crete countryscape, and the film starts to resemble a wilderness adventure. A midnight sojourn into cavernous Greek ruins provides a backdrop for more bad judgment on all sides, necessitated by the plot but far from convincing. The final 45 minutes are consumed by a tired and rather inane game of cat and mouse that miserably fails to build up any tension. A late and desperate lunge to bolster the surrogate father theme is unconvincing, Amini having failed to nurture the human connections necessary to earn the payoff. The cast deserved better. 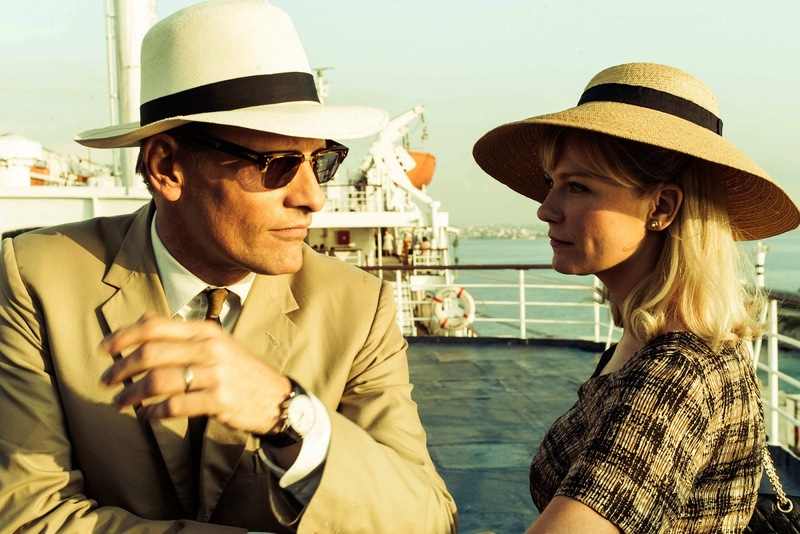 Although Mortensen, Dunst and Isaac never stretch, they appear committed to the material and offer enough intensity to hint at what could have been a better movie. As it is, neither of January's faces offers the requisite allure.